On May 27, there was only 400m left in the 800m Regional Championship. Junior Jase Headings from Jonathan Alder was out in front, leading a pack of experienced State qualifiers. Headings was coming off an unexpected victory over the State Champion from Heath, senior Taylor Hopkins, running a 1:53.98 at the District Championships. Still in front with 100m left, the wheels began to fall off. “Everything seemed to fade, and I couldn’t hold on any longer,” said Headings. Headings fell from first to sixth in a matter of seconds and came up short of qualifying for the 2017 OHSAA State Championships. “The fact that I didn’t make it out of regionals was heartbreaking. That race was the only thing I thought about for the next week,” said Headings when explaining what went through his head in the following week. Once reality set in that he wouldn’t be running in the State Championship, that’s when Jase believes he found his true love in the sport. “Having something like that stripped away from you so suddenly is something I hope nobody experiences. The fact that I had trained all season for that race and was unable to execute to my expected abilities was a terrifying experience,” said Headings when told about Coach Creps’ prediction. Although it wasn’t going through his head at the time, in the hours following the race, Coach Creps began to formulate his pitch to Headings on running Cross Country. Since third grade, football had always been a big part of Jase’s life. Not only the sport itself, but Jase craved the culture that came with it. Inside the locker room before the game and having the student section cheering the team on was an incredible adrenaline boost. So when the idea of running Cross Country first came to mind, Jase didn’t think much about it. However, from the start to the end of the track season, Jase began to seriously consider the idea of running Cross Country in the fall. Eventually, after much deliberation, Jase made the decision to run Cross Country in the fall and gave up a chance of being a starting Defensive Back for the football team. “The Regional Championship was a tough pill to swallow, but after that, I was pretty sure Jase knew what he had to do,” said Coach Justin Creps. 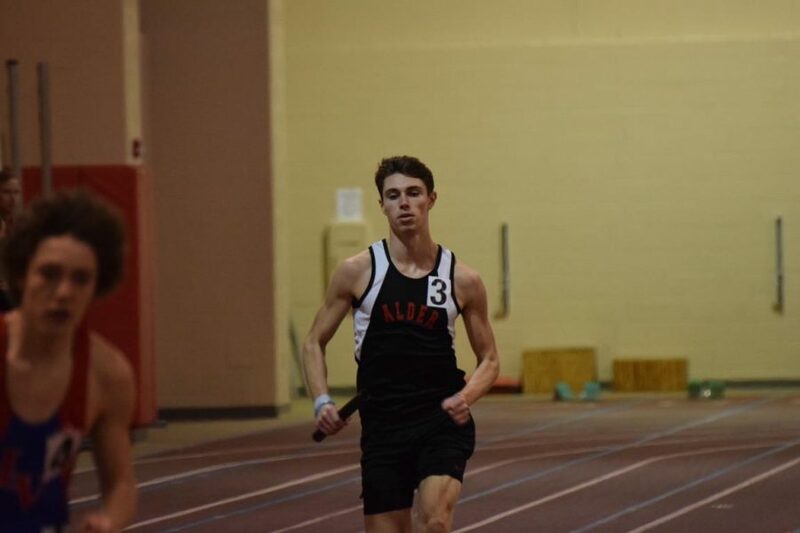 “Throughout the Track season, I had a quiet confidence that Jase would end up running in the fall”. Although it was a difficult decision, Jase felt as if he made the best decision in improving his odds of winning a State Championship. “Every person who beat me at regionals ran Cross Country, so I figured that’s what it would take to make States,” said Headings. Over the course of the season, Jase fell in love with the sport. Running everyday with many of his friends didn’t seem dreadful but more of a gift. Cross Country strengthened Jase’s love for running and fueled the fire even more. Jase earned first team honors for the Conference and District and came up just short of qualifying for the State Championship. However, for the first time in 28 years, Jase helped the Boys Cross Country team qualify for the State Championship. Jase gained very valuable experience, running among the best Cross Country runners in the State and helping his team finish 13th in the State. The team’s highest finish in school history. Now as the Outdoor Track season is quickly approaching, Jase is beginning to train for the Indoor Track season. With his sights set on qualifying for the New Balance National Championships, reality is beginning to set in that this is his last chance to win the State Championship. “This year’s goal is to win States. Winning a State Championship in my first appearance would be unbelievable. My training is already proving to have helped my time,” said Headings. “With the continued training through the indoor and outdoor track seasons, I’ll be more than ready to compete for a State Championship”. Although Jase has no pressure, he continues to train through incredibly cold weather to pursue his dream, training as if he’s the returning champion. Although the OHSAA State Championship is a long time from now, to Jase, it has never been closer.